For the forseeable future, Joss Whedon is done with making Marvel movies. He said so himself, increasingly, through the production and press tour for Avengers: Age of Ultron. He has said he wants some time away from big movies to focus on other, smaller projects for a while, more personal stuff. I don't think anyone begrudges him that, especially after some of the conflicts he came into with Marvel Studios during production on Age of Ultron. He may not be done entirely, but he's done for now. A little while ago, during an interview with IGN, Whedon was asked if he would ever want to direct a movie based on a DC Comics property. He said he absolutely would, given the chance, just not immediately. (His actual answer was that while he was a Marvel boy growing up, he was always "DC-curious." I love this guy.) This got my brain a-thinkin' about what properties Whedon would be best for, so let's list-icle. This will go from five to one, in terms of this writer's gauge of feasibility and preferences for what project our Geek God could helm. This is maybe a too-easy answer and a nonsensical one given that Patty Jenkins has already been tapped to direct WB/DC's Wonder Woman movie after Michelle McLaren's departure, but let me explain. And anyway, it's number five. Hush. 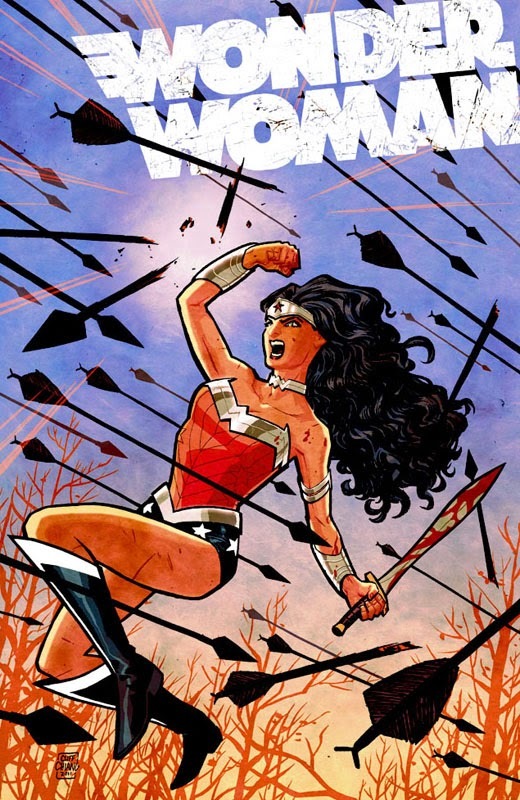 Years ago, back in the innocent days of the mid-2000s when no one knew exactly what kind of box-office juggernautery lay ahead in the new millennium, Joss Whedon wrote a script for a WB adaptation of Wonder Woman. This was post Spider-Man and Batman Begins, which should tell you what kind of superhero stories were in vogue at the time. Needless to say, it never happened, and Whedon went to work for the Other Guys. I've read some of Whedon's script. Pieces of it suffer from the tropes of the time, and some of it is Whedon silliness. Some of it is Whedon brilliance. It might have worked, but it was a little ahead of its time in terms of how to treat this literally mythical character. The point is, Whedon is the go-to guy for kickass female characters, and Wonder Woman is chief among them. At this point, he has proven beyond any doubt that he can handle his big-budget epics with larger-than-life characters. I'm glad a woman is directing Diana's film. That's just as it should be. However, if it couldn't be a woman, I'd want Joss Whedon. There will be a sequel to Wonder Woman, if it makes even the slightest profit, and Patty Jenkins may wish to return, but if she doesn't, maybe WB will eat some humble pie and make room for a Marvel defector. The first answer Whedon gave when presented with the "would you direct a DC movie" question was that of course he'd love to get his hands on the Bat. Who wouldn't? The fear here is that Whedon would bring his particular brand of snark to the shadow-drenched world of Gotham. While DC's supposed "no jokes" mandate is absurd, it bears some weight with reference to the Dark Knight. Batman doesn't crack wise; his sidekicks or his butler or his villains do. He's the ultimate straight man, with occasional glimpses of dark or sardonic humor. Whedon was a writer first, and one who is more than good enough to temper these tendencies. Honestly, my hope for a Whedon-directed Batman film would be what he could do with Batman's incredible supporting cast. Robin gets a lot of hate, but we haven't seen the character in live-action since Joel Schumacher and Akiva Goldsman ruined the character two decades ago—and then ruined some more, 18 years ago. Whedon could make Robin cool. He could make Nightwing happen. He could really make Selina Kyle/Catwoman complex, more than just a romantic foil for Batman. Just imagine the insanity of the Joker under Whedon's direction. There's so much here that could work. This one might be slightly more possible than WW, but still unlikely, for a couple of reasons. The biggest is that WB/DC is probably unwilling to let Whedon play with their biggest and best superhero property. Besides the fact that they dissed him with Wonder Woman—after which he made beaucoup bucks for the competition, proving that he was capable and his ideas feasible, and I don't think WB is big enough to admit they might have been wrong—they already have a director they like, playing Batman. I wrote about this before, but the eventual solo Batman film could very well be directed by the Caped Crusader himself, Ben Affleck. 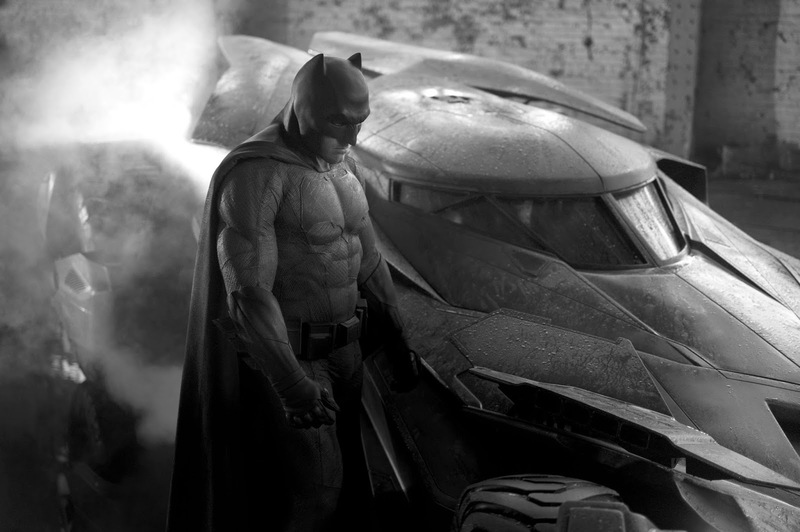 It's an idea I don't hate, but one I'll be unsure of until I see Affleck's take on the character in Batman v Superman. Huh? You've never heard of these guys? They sound stupid? So did Guardians of the Galaxy. This one intrigues me, because it is a property that would need serious trimming to be a feasible adaptation, so there is room for a creator to really put a stamp on the property like James Gunn did with Marvel's aforementioned version of Star Wars. 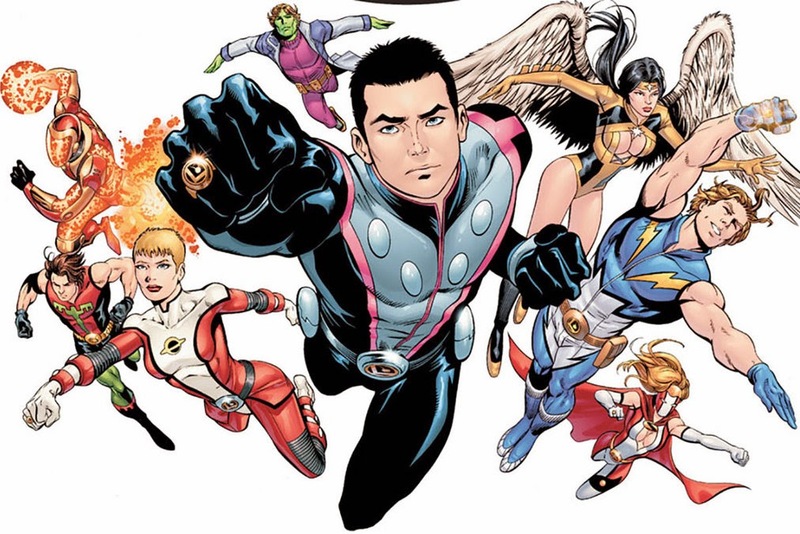 The Legion of Super-Heroes could be DC's Star Trek answer to that. The short version of the Legion's storied history is that they are a future galactic Justice League. Inspired by tales of Superman's heroics, a host of young people with powers come together to help protect, well, everything (even if a lot of their action centers around future Earth). It has been a long-running and generally popular title for DC, with a massive cast of characters from which to draw, but something like 80% of them have names ending in "Boy," "Girl," "Lad," or equally innocent and defunct titles. Apologies to comic purists, but audiences are not going to flock to the theatres to see Lightning Lad and Saturn Girl team up with Star Boy and the Invisible Kid. Just ain't gonna happen. Guardians had help mitigating this problem because some of the source names were unique and interesting (Gamorra, Drax, Groot) alongside the sillier names that they either shortened ("Rocket," instead of "Rocket Raccoon") or poked fun at in the movie. Star-Lord was just Peter Quill until the running joke became an earned moment, when during the climax Djimon Honsou's character recognizes Quill from the beginning and snarls "Star-Lord." Apply some of that logic to handling your characters in a Legion of Super-Heroes movie, and you're on the right track. Similarly, I bet they'd just trim the title to be "The Legion," or perhaps "Legionnaires." More generic, perhaps, but less Saturday-morning-cartoon than "The Legion of Super-Heroes." I admit, too, that any adaptation of this property is a long shot unless WB/DC shatter all expectations with their attempts at a DC Cinematic Universe, but hey, this whole thing is a what-if scenario. This is similar to the previous entry, but better known and with unique opportunities. I know, the first Green Lantern movie sucked. That's not the character's fault. I don't know if Whedon even cares about GL, but that could be an asset. 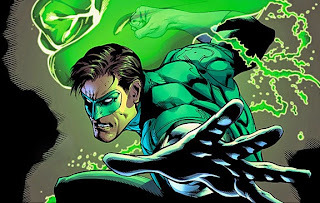 It barely matters which of the six or seven Earth-based GLs he uses, though it's likely WB would want either to continue with Hal Jordan or use someone like John Stewart or Kyle Rayner. In addition to being another fun space-based adventure, more action-packed than cerebral, Green Lantern should be a human story about imagination and our potential, and Joss Whedon excels at humanism. Think about it. A Green Lantern ring allows the bearer to create whatever he or she or it can imagine. That's pure creation, kind of like a storyteller, no? Furthermore, the energy that allows for this power is derived from emotion, from basic feelings—in this case, willpower, a drive to do more, be better, to keep moving. I can't think of a more primal human trait than our will. The point is, even if Whedon doesn't currently care about the character, he can relate to him, and I would love to see what imagination Whedon could bring to the Green Lantern Corps. That's the thing: it's such a recognizable story. The Corps are just a galactic police force. They have precincts, beats they walk, partners. There is corruption. People get fired. It's a space cop story. That very recognizable and human grounding is the perfect launchpad for Whedon's imagination. How far can you bend the clichés of police stories when they're set in deep space? What's a run-of-the-mill assignment for them? Reigniting a dying sun? Deflecting asteroids from inhabited planets? If that's the boring stuff, imagine what Whedon's imagination could unleash on these celestial guardians. Green Lantern will be in the ranks of the Justice League when they debut, and he has a solo feature slated for release on June 19, 2020. What he doesn't have is a director, and Whedon could make a very human, action-packed space adventure that might erase the stigma of the character's first live-action appearance. This is the biggest stretch, because it relies on a number of things falling into place, but for the sake of this piece I'll assume a best-case scenario because I think this could be stellar. Bear with me. 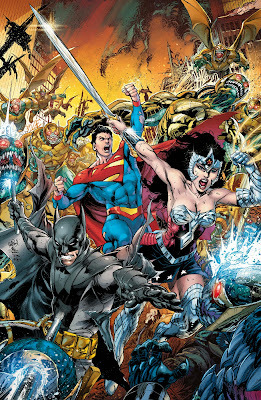 One of DC's longest-running narrative devices is the concept of the Multiverse. First introduced in the pages of The Flash #123 in 1961, it posits that our universe is one of an infinite number of others, all occupying the same space but vibrating at a different frequency, so each occupies a separate dimensional space. Flash can slip between these worlds because of his super-speed; he made it to another Earth, by accident the first time, by moving fast enough to slip between worlds. Now, more and more, we're hearing that our actual universe may be one of many. There is mounting evidence that the multiverse is fact, not fiction (though probably not this kind of fiction). DC has been using their multiverse to tell stories for over 50 years now, and it's still going strong. No less than two big events are currently underway in DC's comics that deal directly with the multiverse. So what is Earth-2? Imagine again, if you will, that WB/DC creates a successful cinematic universe. It works on its own and as a counterpart to Marvel. We know Marvel is building toward Infinity War, when Thanos tries to claim all six Infinity Stones to presumably rule over everything. Maybe he'll just be content with destroying Earth, but it's not likely. Like an arms race, DC will have to provide a viable counter to the Marvel superplot. They have universal despot Darkseid (who, its worth mentioning, predates and inspired Thanos) who probably will show up at some point, but what if existence was threatened by something else? The "main" DCU takes place on Earth-1. Earth-2 belongs to a universe of older counterparts. Earth-3 belongs to evil versions of the characters, and is protected by Earth's greatest hero, Alexander Luthor. Each one of the Earths is different, either slightly or in a big way. On Earth-X, the Nazis won World War II, and a small band of heroes fought a longstanding guerilla war against the Reich. Get it? Patterns repeat across the multiverse, like a song played in different keys or sung with different lyrics. An Earth-2 adaptation could go one of two ways, as I see it. Originally, Earth-2 was the home of the earliest DC heroes, the first versions of the Flash, Green Lantern, Batman, Superman, and Wonder Woman. They are referred to as belonging to the Golden Age. You can think of these as the pre-and-post-WWII heroes. 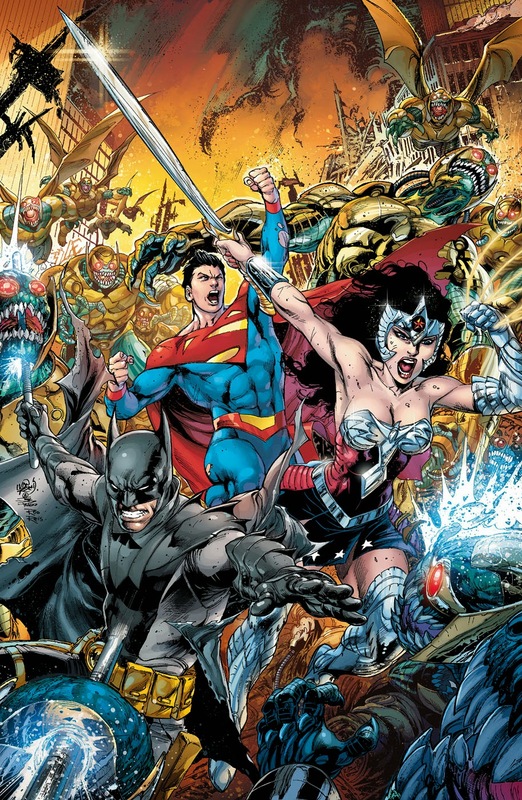 In the collapse of the superhero comic boom after the war ended, a few major characters survived (like the Big Three), but within a few years came a resurgent interest in heroes and DC revived trademarks like Flash and GL, only as different characters with different stories and new designs. This was the start of what's termed the Silver Age. When the Silver Age Flash, Barry Allen, crossed between universes, he met his earlier counterpart, the Golden Age Flash, Jay Garrick. Basically, all of the older DC stories had actually taken place on Earth-2, and the modern DC stories were on Earth-1. Modern comics have played out Earth-2 as being populated with alternate versions of the characters, not older or younger—just different. So where does Joss Whedon come into this? If you imagine the successful first run of these DC movies as Earth-1—Henry Cavill's Superman, Ben Affleck's Batman, Gal Gadot's Wonder Woman, and the rest—Earth-2 could be a totally fresh look at the DCU, a way to reinvigorate the second wave of the DC films. It could perhaps introduce new characters or twist those that we've seen, free of the shackles of continuity and solo-film plot threads. Since they're not the "actual" versions, Whedon could do what he does and kill off two or three or six. This could sell just by capitalizing on new science and awareness of our universe. This could be a substantial building block in the DC Cinematic Universe, setting up a future Justice League movie that pits the heroes against their Earth-3 doppelgangers. Once they know of the existence of the multiverse, they could explore it, or perhaps their reality gets invaded by said evil doubles. Either way, the multiverse is one of DC's stronger ideas that has been used to great effect in their stories, and while I'm aware that what works on the page does not always work onscreen, I'm also confident that a filmmaker with vision can make it work. Whedon could play in the DC sandbox he's curious about and add to it without worrying if he's muddying the waters. One final note, because this just occurred to me and while it's the most improbable thing in this article, it's a really fun thought: What if an Earth-2 movie brought back actors like Christian Bale, Ryan Reynolds and Brandon Routh as "alternate" or "earlier" versions of Batman, Green Lantern and Superman? Maybe they could even find a way to bring the TV versions of Flash and Green Arrow into that "alternates" fold. Impossible, I know, but fun to think about. Do you think Whedon will ever get his shot at a DC movie? What would you want to see him direct? Explore this multiverse of possibility with each other in the comments below!